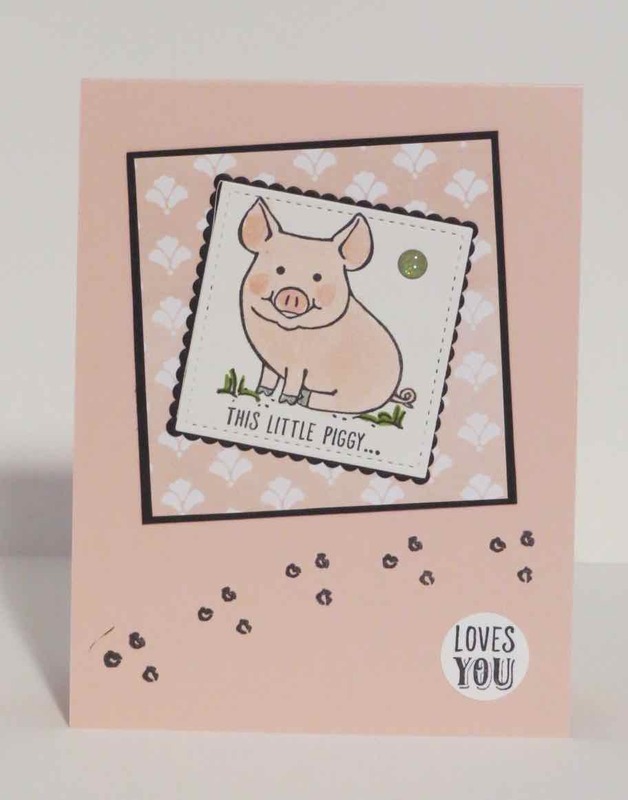 Karina's Kreations: Stampin'Up This Little Piggy Sneak Peak! 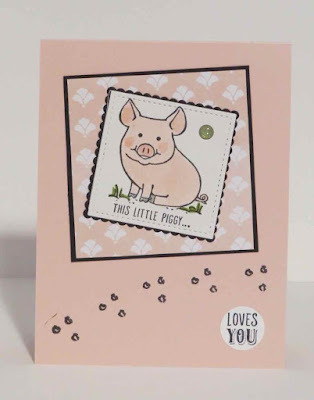 Stampin'Up This Little Piggy Sneak Peak! The new catalog starts June 1 and you could get this super cute stamp set called This Little Piggy. This card is from Lisa Lange and I love how she used the Layering Squares Framelits #141708 and Stitched Shaped Fraemlit Dies #145372 on the card. The Designer Series Paper is the Fresh Floral Designer Series Paper Stack #141131. She also used Glitter Enamel Dots #144200. Are you excited to get your new catty? Pop by my house on June 2 from 9:00-9:00 and pick up your catalog during my New Catty Kickoff Party / Buy One Get One Free Sale.